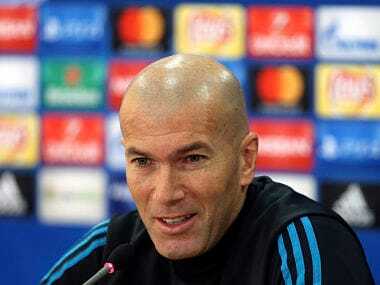 Jurgen Klopp is in no doubt that Zinedine Zidane has shown himself to be as good a coach as he was during a wonderful playing career, as the two men prepare to lead their Liverpool and Real Madrid sides into Saturday's Champions League final. "If a lot of people think Zinedine Zidane doesn't have much knowledge of tactical things -- because a lot of people think that about me -- that would be really funny," Klopp told media at Kiev's Olympic Stadium on the eve of the game. Zidane finds himself in a position to win a third Champions League title despite only becoming Real coach in January 2016. If he does that, the 45-year-old would equal Bob Paisley and Carlo Ancelotti as the only coaches to have won the European Cup three times. 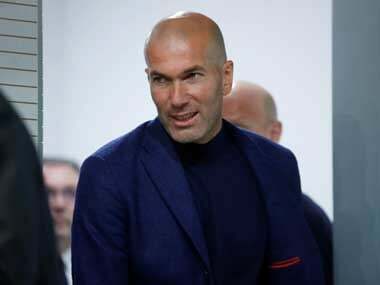 Despite that, Zidane's detractors see him more as a supervisor of a supremely talented squad rather than a tactical genius. 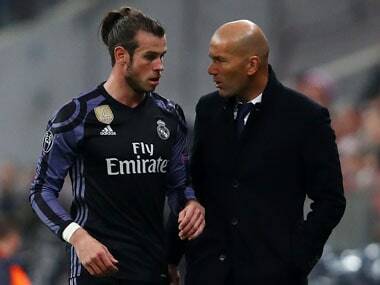 Klopp, who arrived at Anfield in October 2015, added: "Zidane for me is one of the best five players of all time in football. "You have to expect he is brilliant like he was as a player. His players and he seem to work like a clock from Switzerland." While Zidane was a Champions League and World Cup winner as a player, Klopp's own playing career in his native Germany was modest. The two have taken different paths in the game, having come from very different backgrounds. "Only when he was a player, he didn't look like that. "I saw his face when someone asked him in a press conference about hunger, and he got angry -- the same would happen to me and I am from a small village in the Black Forest." Klopp and his captain Jordan Henderson faced a huge gathering of media in the Ukrainian capital on Friday along with Dutch defender Virgil van Dijk. 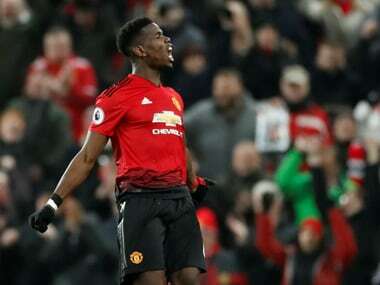 All of them appeared relaxed ahead of the game, as they hope to secure Liverpool's sixth European Cup, and a first since the unforgettable defeat of AC Milan in Istanbul in 2005. To do so Liverpool must end Real's reign as European champions as the Spanish giants go for a 13th European crown in Kiev. "We've done fantastically well to get to this point," Henderson said. "We want to go one step further and be remembered for the right reasons and that is winning the Champions League." Liverpool's return among the European elite is largely attributed to Klopp's impact as a manager. However, the German has lost his last five finals, including the Europa League final in 2016 when Liverpool lost 3-1 to Sevilla. And Henderson believes the English giants can use the pain of that defeat for a different outcome against Madrid. "It hurt that night, but you can use that as motivation going forward and we've done that since that night. "But it's also important for us to win trophies and hopefully we can start that tomorrow. "The club have won the competition a few times so it is the DNA of the club to win trophies. We want to win the trophy for fans and the club and we're certainly going in the right direction."